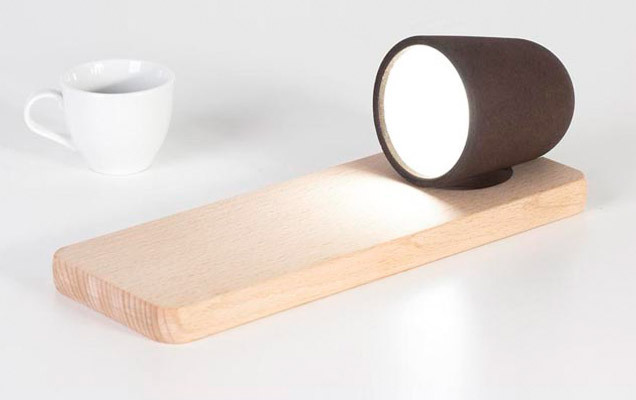 Brilliant Decafé Lamp is Made From Recycled Coffee Grounds! Taking advantage of the renewable and biodegradable attributes of coffee, Spanish designer Raúl Laurí created an innovative, experimental and very cute lamp. Dubbed the Decafé Lamp, it is made from a new composite material made from recycled coffee grounds. Shaped like a cup, this comforting, aromatic luminaire has a switchless design – to turn it on simply pick it up and place it on its base. 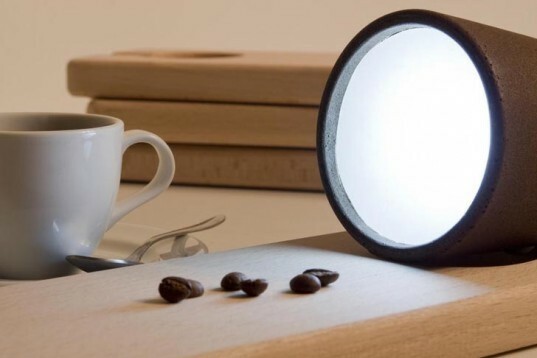 The Decafé Lamp recently took first place in this year’s Salone Satellite Awards during Milan Design Week 2012. The award was given in recognition for the design’s development, research and experimentation with sustainable materials. Laurí’s innovative recycled coffee material has great potential – we’d love to see it turned into an entire range of caffeine-based products! Taking advantage of the renewable and biodegradable attributes of coffee, Spanish designer Raúl Laurí created an innovative, experimental and very cute lamp. Dubbed the Decafé Lamp, it is made from a new composite material made from recycled coffee grounds. Shaped like a cup, this comforting, aromatic luminaire has a switchless design - to turn it on simply pick it up and place it on its base.